Can Your Social Media Posts Affect Your Credit Score? Home / Blog / Can Your Social Media Posts Affect Your Credit Score? In the early days of social media, content concerns were usually limited to how personal shares might affect your ability to get promoted at work. Today, another serious question has begun to surface - can these archived shares actually affect the sharer's creditworthiness? The most precise answer right at this moment is, "Maybe." It all started with a patent filed by the now-extinct social networking site Friendster. Recently, the public was disconcerted to learn that rapidly expanding global giant Facebook bought up this patent along with a group of other patents when Friendster went belly-up in 2012. So could Facebook use the Friendster patent to help creditors pry into an applicant's social media history? Here again, there is no precise answer at this time. Technically, this is already an option for any creditor with any applicant who also maintains a publicly accessible social profile (on Facebook or anywhere else). Of course, it would take quite a bit more manual labor for any creditor to take the time to scroll back through the applicant's sharing history before making a decision on the loan or line of credit application. But it is already possible, and in some situations it is already happening. Related Article: Which Mobile Apps Can Keep You Safe From Identity Theft? New algorithms developed by the Fair Isaac Corporation, better known as FICO, include the content of online posts to produce a comprehensive picture of an applicant's creditworthiness. While not much has been explicitly released regarding the types of publicly viewable posts that could get an applicant's credit score into trouble, FICO has cited an example of an applicant posting publicly about getting "wasted" (drunk) as being relevant to the likelihood of that applicant paying back a loan. Inferences have also been made that what the poster's network posts could also potentially affect whether that applicant would be granted a loan or line of credit. Here speculation is stepping onto particularly shaky ground, since the current system for evaluating requests for loans or lines of credit do not look into the applicant's social network, friends, colleagues or connections as a factor. How Risky Would it Be for Investors to Use This System? In addition to the issues highlighted in the previous section, interestingly, several finance-related news sources indicate it could be quite risky indeed for creditors and investors to use a social or online-based post review system to determine creditworthiness. With a bank of imposing federal laws outlawing discrimination based on any number of factors (gender, ethnicity, socioeconomic background, age, relationship status, et al) any creditor or investor taking part in any such rating system would have to be fairly convinced the system was rock-solid or be willing to risk litigation as a result. Related Article: Do Rich People Have Better Credit Scores? What Socially Shareable Information Do Investors and Creditors Look at Now? In addition to the basic information from the application, investors and creditors often will Google the applicant to just see what comes up. This has caught some unwary applicants by surprise - and typically not in a good way - but to date issued decisions have continued to revolve around information on the application, not information found on Google. In fact, there is no particularly good reason why an investor or credit issuer wouldn't Google an applicant - so much information is publicly shared and available for viewing today that it just makes sense. And there is always the off chance a casual post might reveal something essential that wouldn't normally come out any other way - it just is smarter to look than assume all is well. How are Credit Scores Currently Calculated? - 35 percent: Bill payment history (as recorded via the "big three" credit reporting bureaus, TransUnion, Experian and Equifax). - 15 percent: Amount of money the applicant currently owes to various creditors. - 15 percent: Amount of credit still available from various sources. 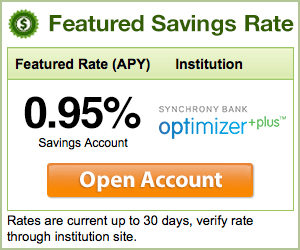 - 10 percent: Ratio of credit types (credit cards, loans, installment payments, et al). - 10 percent: Pending new credit applications. Could Social Posts Help Applicants Secure Credit? While much of the recent news reporting has focused on the shock and value and fear factor inherent in the existence of the Facebook/Friendster 2012 patent, there is another side worth taking a look at as well. What if an applicant's social media shares are so positive that it actually helps that applicant secure a new loan or line of credit? This is certainly within the realm of possibility. For every jaw-dropping over-sharer who is active online today, there is an equal and opposite under-sharer who uses their accounts primarily to network professionally, share educational information and search for new business. For these individuals, the presence of publicly viewable posts could very well prove to be an asset in securing additional funding when needed. So What is the Big Picture Shaping Up to Look Like? Here again, it seems it is far too early to tell whether the use of social posts as part of an overall creditworthiness evaluation strategy will actually prove to be viable. For now, FICO states that, even if posts were to be folded into a larger comprehensive calculation of creditworthiness, their weight would not account for a large percentage of that calculation, but it would account for more than zero percent. So ultimately, it appears at this moment in time that the impact would likely be negligible in the case of most applicants. For those applicants who have not built up sufficient credit history, they are likely to struggle to obtain any kind of large loan whether their public sharing history is squeaky clean or eye-popping. For those applicants whose credit history is spotty, sketchy or downright scary, they too will likely to continue to struggle to obtain loans or lines of credit (at least at advantageously low interest rates) even if their online social history is all above-board. Ultimately, any individual who anticipates ever caring about his or her public reputation (and its management) now or in the future should play it smart and safe anyway when it comes to what gets publicly shared via social media. This just makes good sense not only as a tool to manage personal reputation or enhance one's credit score, but also to protect oneself from identity theft and other personal crimes that can begin via social media sharing.